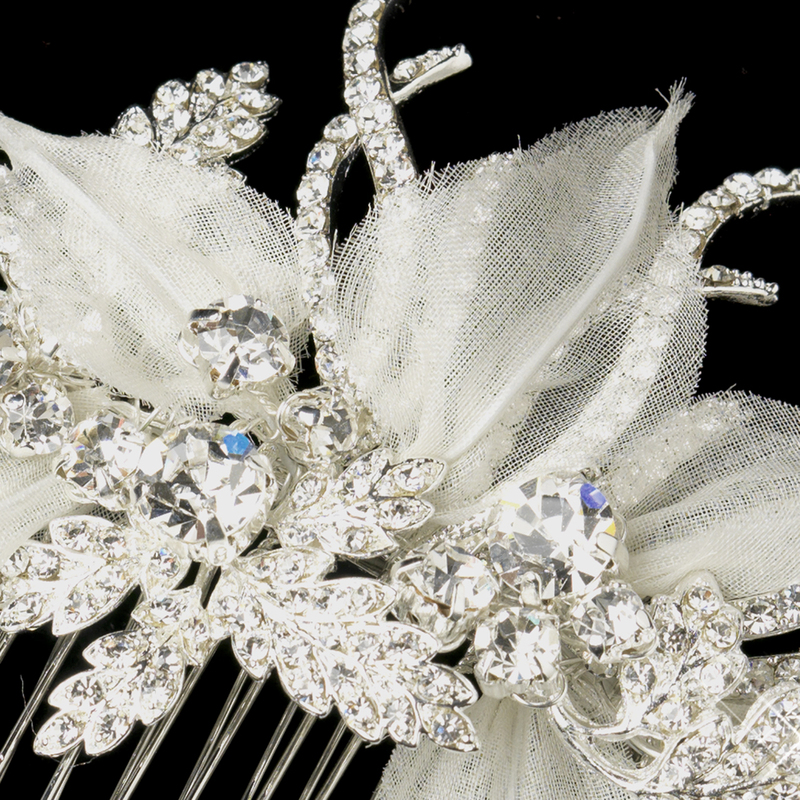 The Silver Ivory Fabric & Rhinestone Side Combs are fabulous hair combs. These floral bridal combs are vintage-inspired, dazzling and romantic! Add sparkle to your hair style with these floral arrangements. 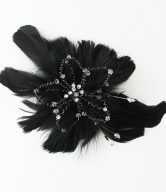 Mesh fabric petals are arranged into a flower design that sparkle with clear cut rhinestones. 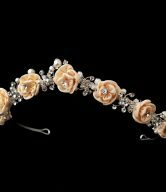 Nestle these beautiful rhinestone headpieces into a special occasion hairdo. 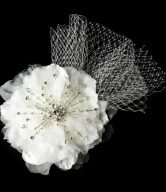 These romantic rhinestone side combs with beautiful fabric flowers are the perfect combination of elegance for your wedding day! The headpieces are best worn to accentuate the side and back portion of an updo, but the possibilities are endless. 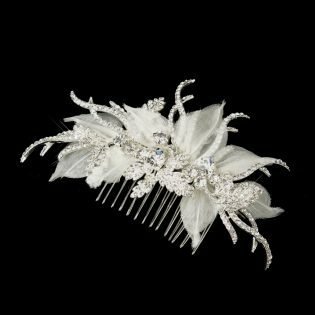 The Silver Ivory Fabric & Rhinestone Side Combs coordinate with both white or light ivory bridal gowns. 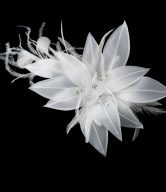 Add these fabulous pieces to your bridal accessories!